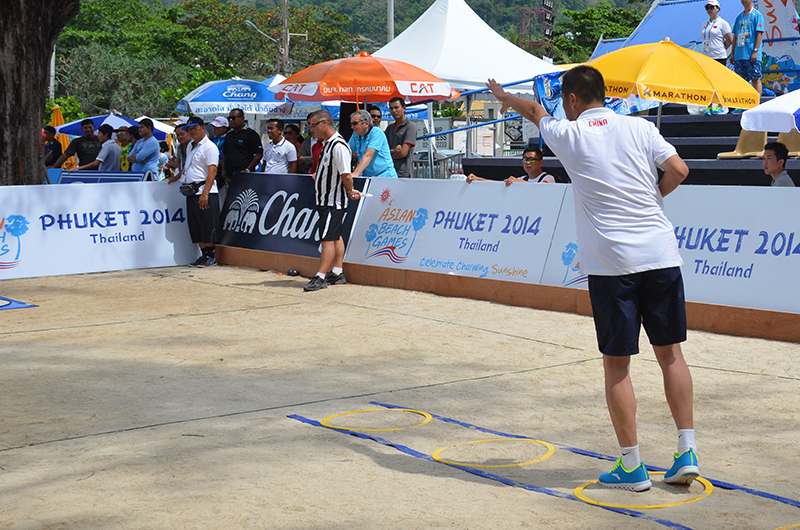 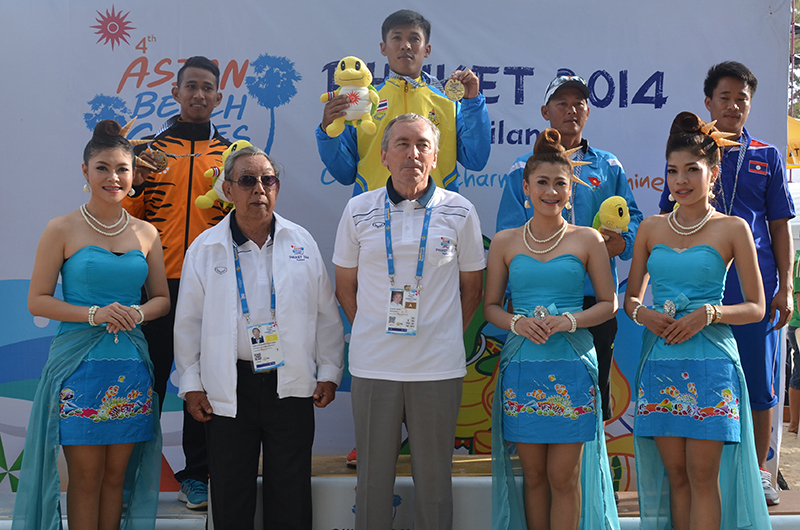 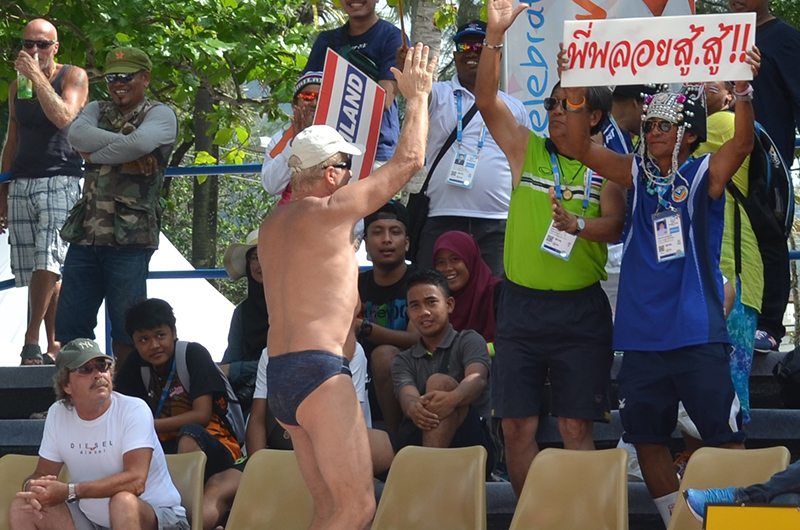 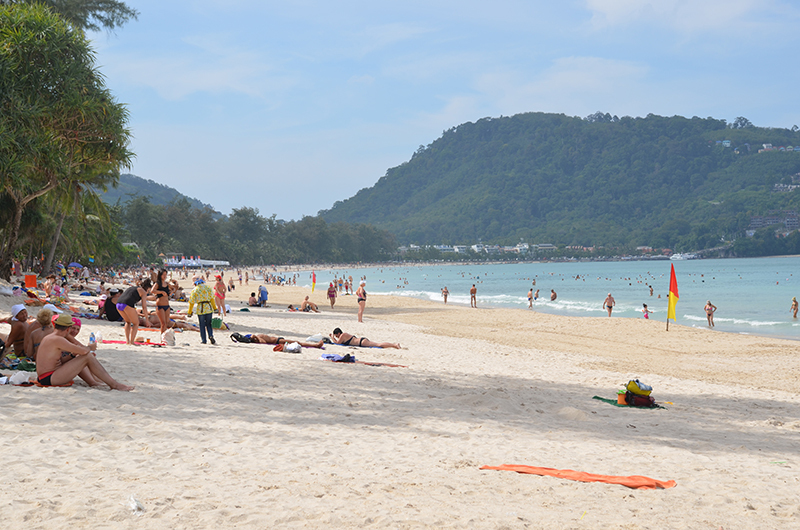 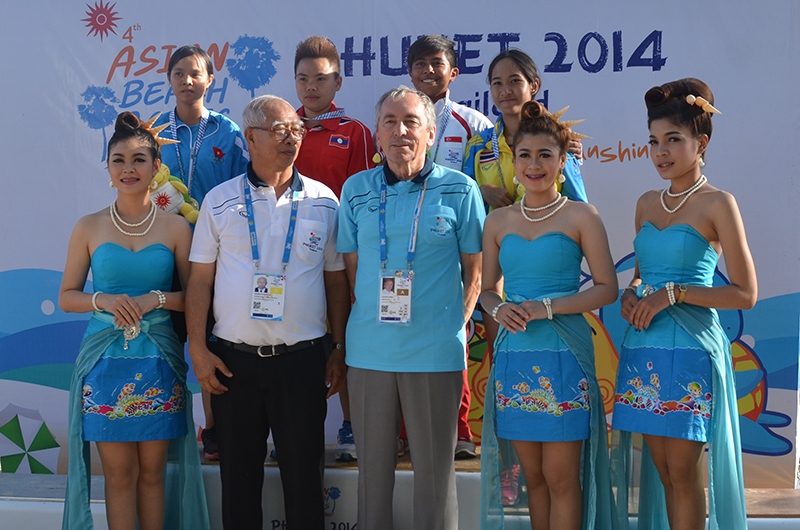 On the 4th petanque day of Asian Beach Games, there was the final round in singles and two gold medals for Thailand. 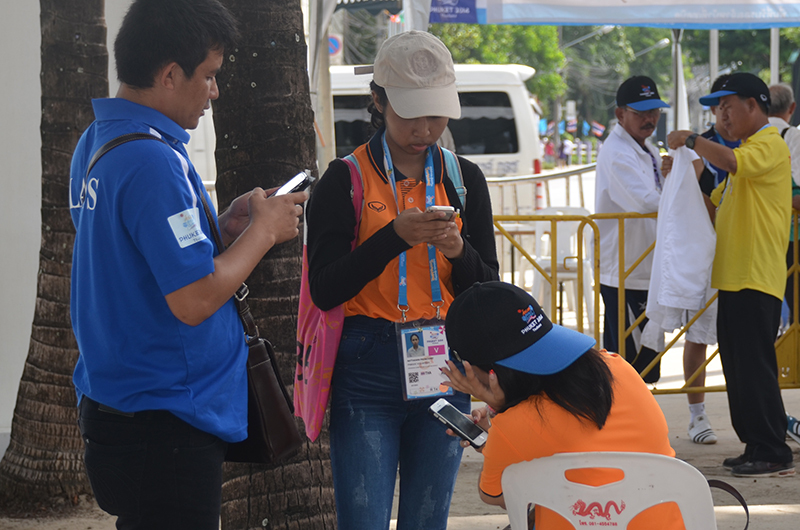 In both high-class finals, the spectators were thrilled with.In the single women had Manyvanh from Laos the penultimate shot for thevictory – but she was a bit too long. 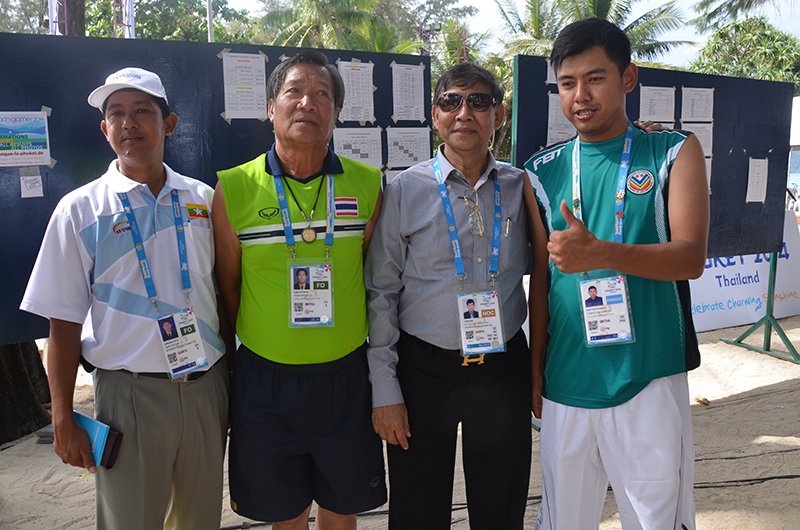 Her opponent Wannida Rooyoo from Thailand ended the game with 13:11 the next end. 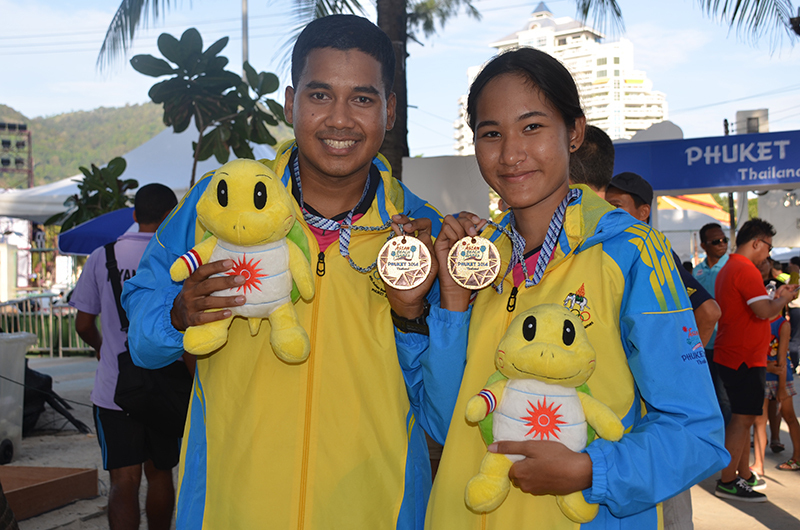 On the mens Suranath Pahdungsao won with 13: 6 the second gold medal for Thailand. 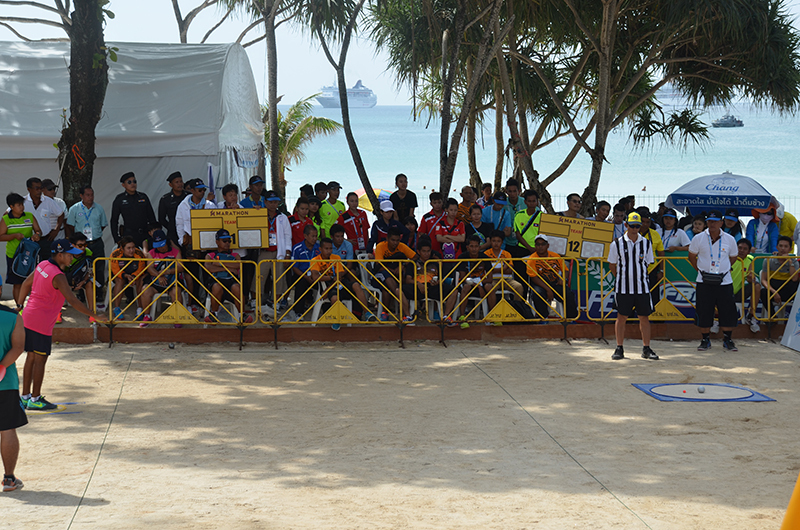 His opponent Hafizuddin Mat from Malaysia made the game always exciting. 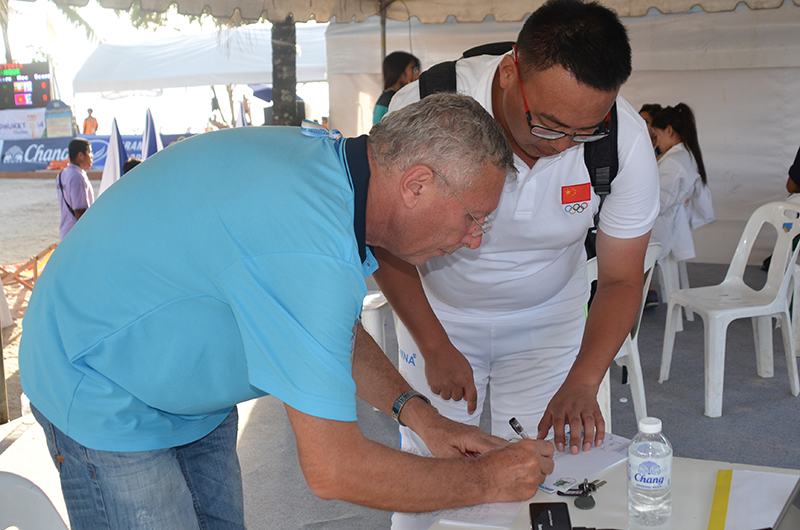 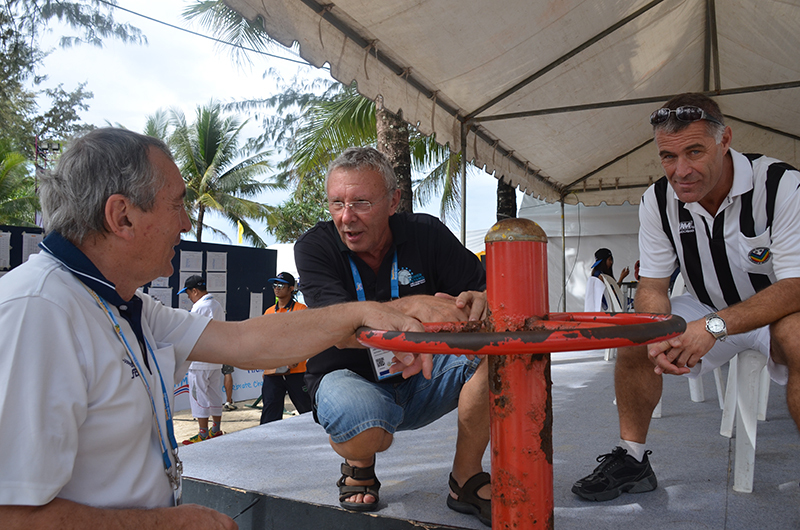 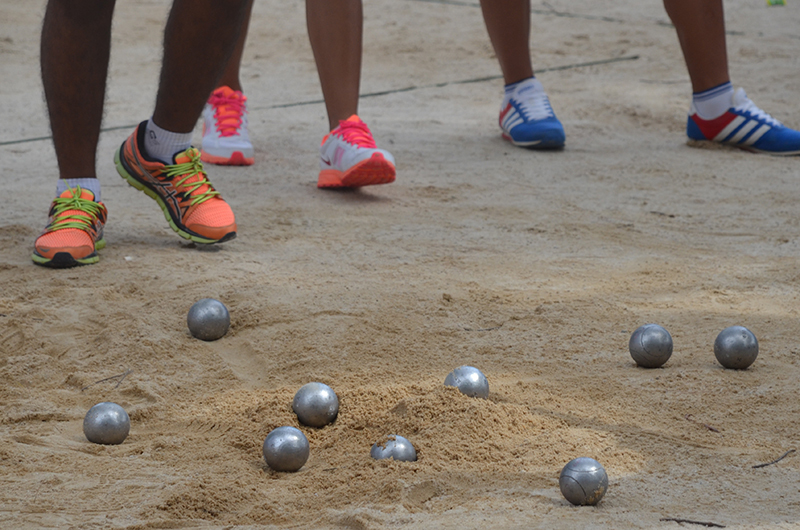 The 3rd day of petanque at the Asian Beach Games was dominated by the Shooters. 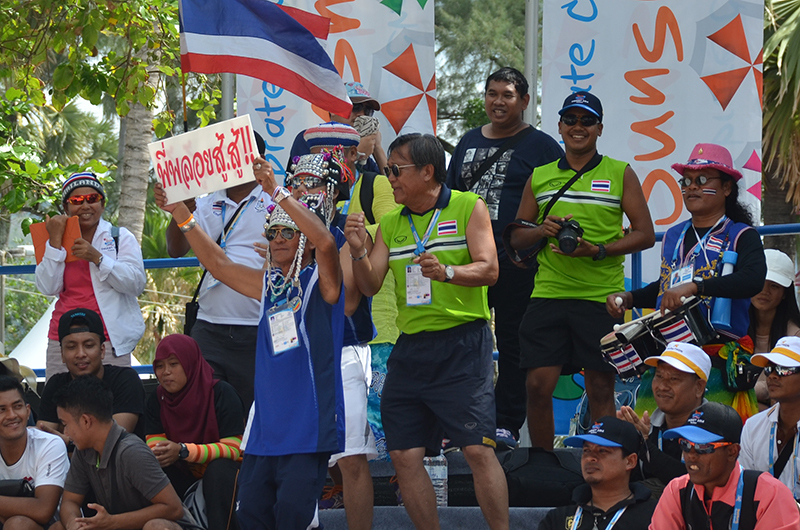 For men, For men, we had 7 starters from Malaysia, Thailand, Indonesia, Vietnal, Laos, Singapore, China, for women only 5 from Laos, Vietnam, Thailand, Malaysia, Singapore. 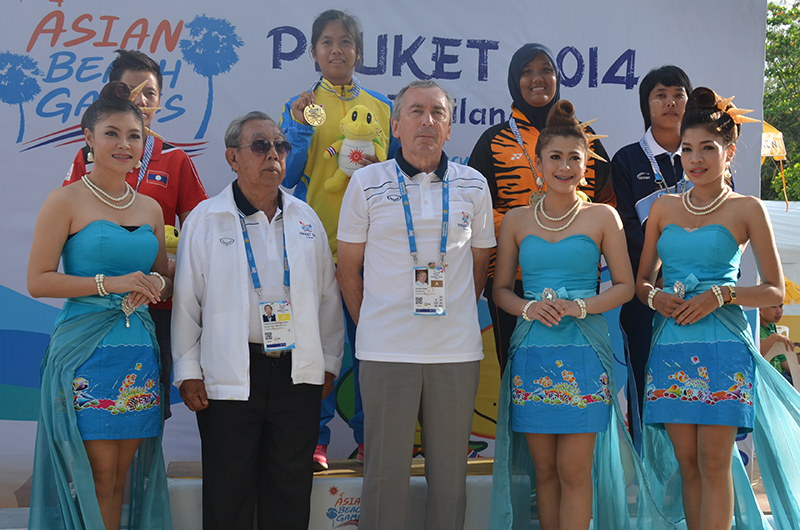 The favorite Thailand had to be content with the bronze medal for women and men. 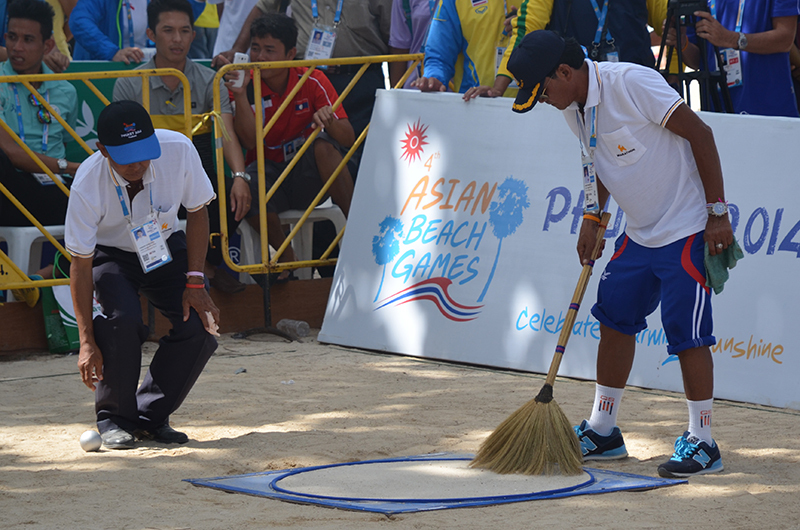 The results are significantly lower compared to other competitions. 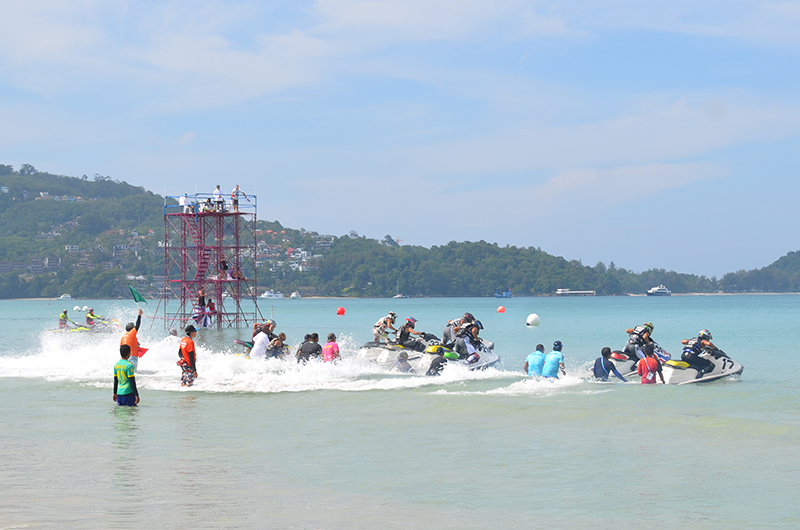 It had to be shot on a wooden base in the soft sand. 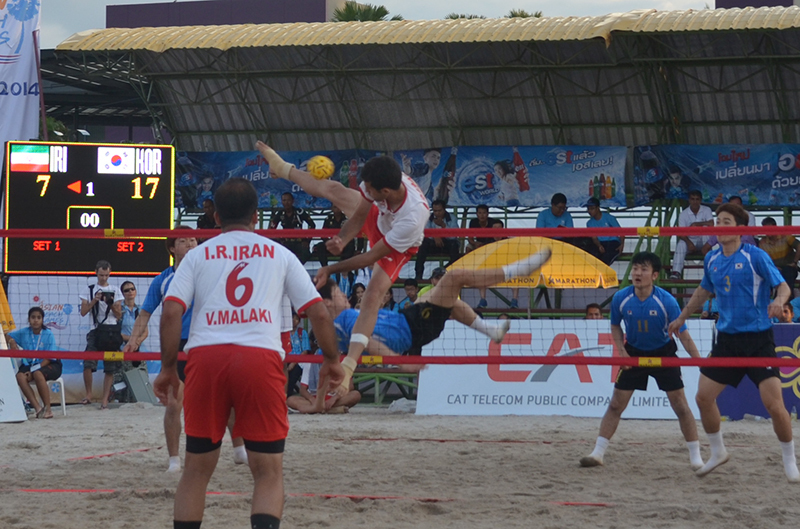 Any ball that was a little too short, jumped over. 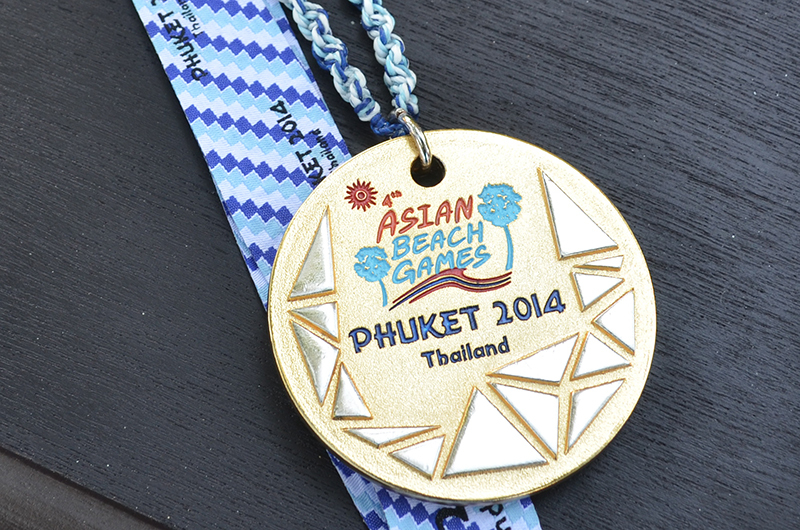 So it looks and is desired by all: the gold medal. 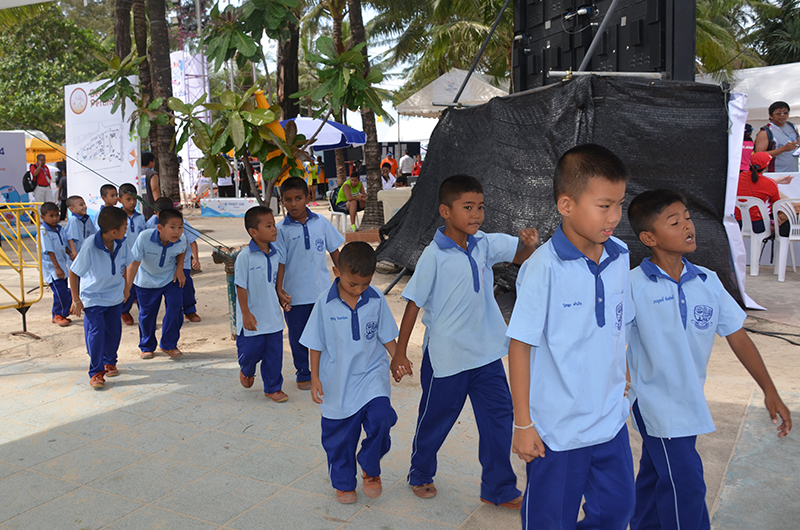 Shooting under palm trees overlooking the sea and ocean liners.